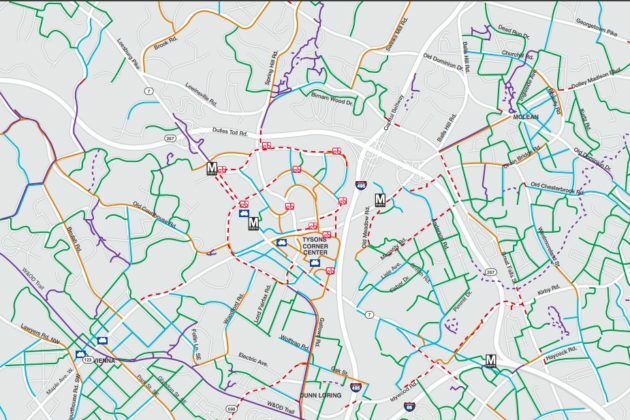 While car and metro are still the go-to for many Tyson commuters, some local establishments are working to make bicycling a little more accessible. 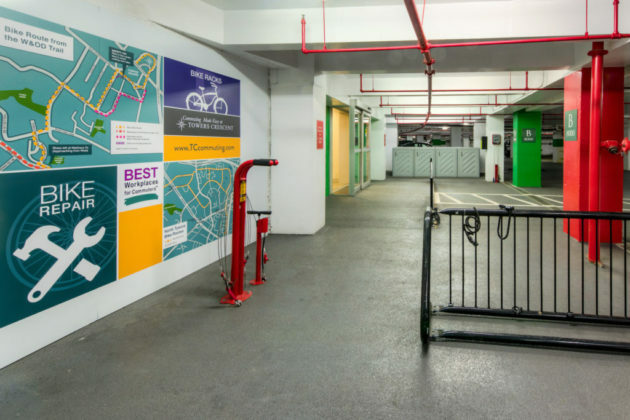 Towers Crescent, a sprawling four building mixed-use complex, recently added new bicycle parking and repair tools inside the parking garage on-site and on the nearby streets. 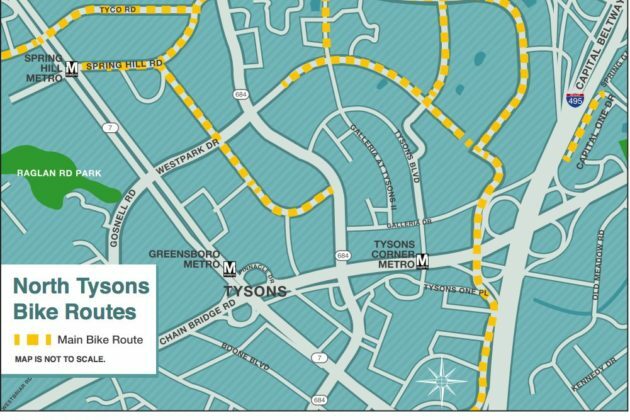 Towers Crescent also created a series of bicycle maps for riders to navigate around the North Tysons area. 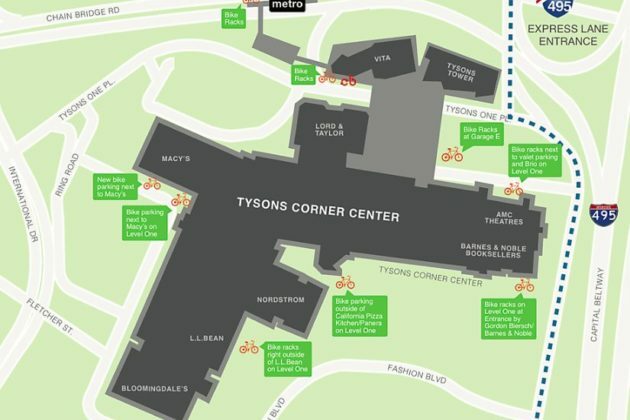 Across the broader Tysons area, Access Tysons, a collaboration between Tysons Corner Center and government partners, has put together a detailed map of bike routes throughout Tysons and a guide of where to park at the Tysons Corner Center.